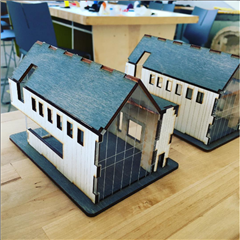 The Sydell & Arnold Miller Fab Lab on the Gates Mills Campus is an open resource to all students and families looking to turn innovative ideas into reality. 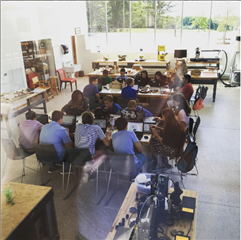 A variety of workspaces and tools including 3D printers, laser cutters, CNC milling machines, a vinyl cutter, 2D and 3D design software, an electronics bench, microcontrollers, power tools, and traditional hand tools provide the resources for the exploration and implementation of creative ideas while also enhancing collaborative opportunities among teachers in the fields of design, engineering, arts, and science. 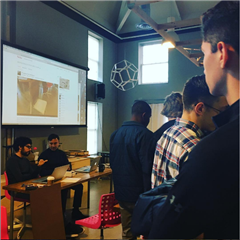 Design Fundamentals – In this hybrid class, students spend the first semester exploring the fundamentals of art and design through a variety of digital machines, mixed media, material exploration, and computer design software. 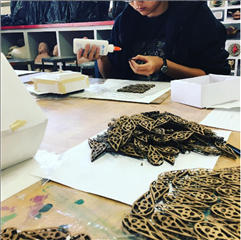 In the second semester students spend time in the visual arts classroom learning how to use fine arts tools and techniques to develop their drawing, painting, sculpting, and printmaking skills. 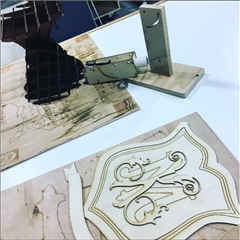 Prototyping and Design - Students are introduced to the digital fabrication equipment and then utilize those tools to generate their own independent project. 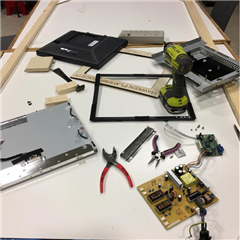 Each student designs and prototypes a project that aligns with a particular area of interest - product design, furniture design, electrical engineering, robotics, coding or programming. Because play is such an important part of growth and development, “making” projects that involve playing, tinkering, designing and creating begin at a young age. Plans are currently underway for an innovation lab on our Lower and Middle School campus, due to open in 2018-2019. This new lab will enable our younger students to harness and channel their natural creativity and curiosity as they build confidence in their ability to identify and create solutions to problems. 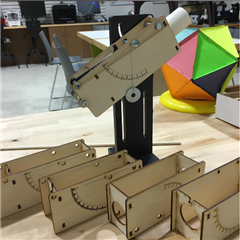 To learn more about the Goldberg Family Innovation Lab at Hawken’s Lyndhurst campus, click here. Hawken Players' Society is Hawken's theater program. Students from the Upper School participate in all aspects of the productions. 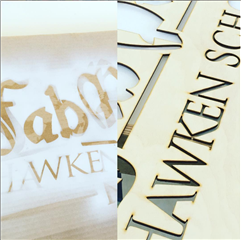 To learn more about the Hawken Players' Society and how they use the Fab Lab, click here. 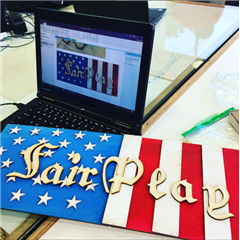 Want to see the Fab Lab in action? Click here to schedule a campus tour.